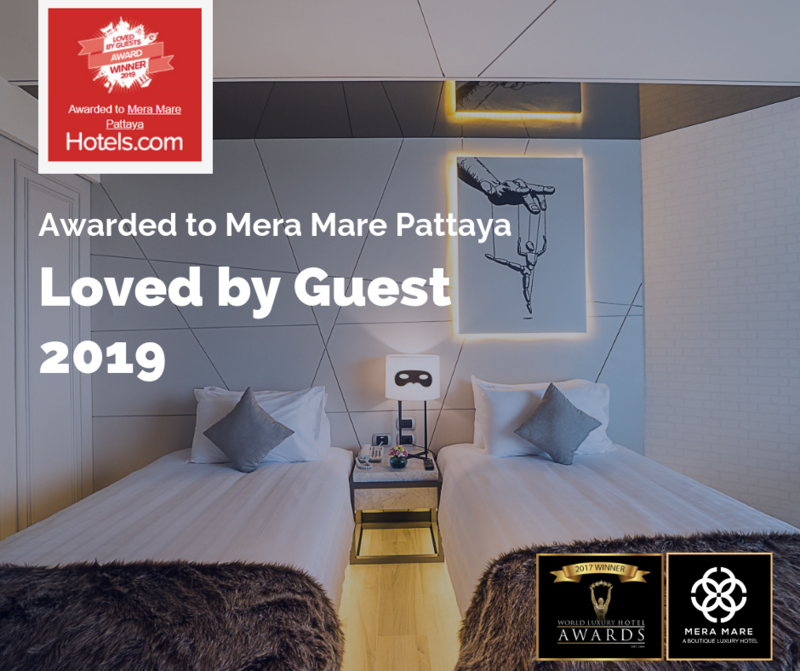 Pattaya, Thailand, 2019-Feb-07 — /Travel PR News/ — We are delighted to received the Award Winner for a ‘Loved by Guests’ Award from Hotels.com with 8.6 scores 2 years in the role 2018-19. Hotels.com is a leading online provider of hotel accommodation worldwide and is affiliated with Expedia, Inc., one of the largest online travel companies in the world. Internet users have access to the best accommodation options available across five continents, in the most attractive holiday destinations. We are extremely delighted to receive this accolade, recognising our excellent level of guest services. We thank all our guests that we have welcomed here at Mera Mare Pattaya and are grateful to them for helping us to achieve this award. This entry was posted in Hospitality, Hotels, Luxury, Tourism, Travel, Travel Awards, Travel Services and tagged accommodation, award, hotels, Hotels.com™, Mera Mare Pattaya, Pattaya. Bookmark the permalink.